His coins give his name as M., or more frequently as C., Flavius Valerius Constantinus. He was born at Naissus, now Nisch in Servia Nis, Serbia --Ed., the son of a Roman officer, Constantius, who later became Roman Emperor, and St. Helena, a woman of humble extraction but remarkable character and unusual ability. The date of his birth is not certain, being given as early as 274 and as late as 288. After his father's elevation to the dignity of Caesar we find him at the court of Diocletian and later (305) fighting under Galerius on the Danube. When, on the resignation of his father, Constantius was made Augustus, the new Emperor of the West asked Galerius, the Eastern Emperor, to let Constantine, whom he had not seen for a long time, return to his father's court. This was reluctantly granted. Constantine joined his father, under whom he had just time to distinguish himself in Britain before death carried off Constantius (25 July, 306). Constantine was immediately proclaimed Caesar by his troops, and his title was acknowledged by Galerius somewhat hesitatingly. This event was the first break in Diocletian's scheme of a four-headed empire (tetrarchy) and was soon followed by the proclamation in Rome of Maxentius, the son of Maximian, a tyrant and profligate, as Caesar, October, 306. During the wars between Maxentius and the Emperors Severus and Galerius, Constantine remained inactive in his provinces. The attempt which the old Emperors Diocletian and Maximian made, at Carmentum in 307, to restore order in the empire having failed, the promotion of Licinius to the position of Augustus, the assumption of the imperial title by Maximinus Daia, and Maxentius' claim to be sole emperor (April, 308), led to the proclamation of Constantine as Augustus. Constantine, having the most efficient army, was acknowledged as such by Galerius, who was fighting against Maximinus in the East, as well as by Licinius. So far Constantine, who was at this time defending his own frontier against the Germans, had taken no part in the quarrels of the other claimants to the throne. But when, in 311, Galerius, the eldest Augustus and the most violent persecutor of the Christians, had died a miserable death, after cancelling his edicts against the Christians, and when Maxentius, after throwing down Constantine's statues, proclaimed him a tyrant, the latter saw that war was inevitable. Though his army was far inferior to that of Maxentius, numbering according to various statements from 25,000 to 100,000 men, while Maxentius disposed of fully 190,000, he did not hesitate to march rapidly into Italy (spring of 312). After storming Susa and almost annihilating a powerful army near Turin, he continued his march southward. At Verona he met a hostile army under the prefect of Maxentius' guard, Ruricius, who shut himself up in the fortress. While besieging the city Constantine, with a detachment of his army, boldly assailed a fresh force of the enemy coming to the relief of the besieged fortress and completely defeated it. The surrender of Verona was the consequence. In spite of the overwhelming numbers of his enemy (an estimated 100,000 in Maxentius' army against 20,000 in Constantine's army) the emperor confidently marched forward to Rome. A vision had assured him that he should conquer in the sign of the Christ, and his warriors carried Christ's monogram on their shields, though the majority of them were pagans. The opposing forces met near the bridge over the Tiber called the Milvian Bridge, and here Maxentius' troops suffered a complete defeat, the tyrant himself losing his life in the Tiber (28 October, 312). Of his gratitude to the God of the Christians the victor immediately gave convincing proof; the Christian worship was henceforth tolerated throughout the empire (Edict of Milan, early in 313). His enemies he treated with the greatest magnanimity; no bloody executions followed the victory of the Milvian Bridge. Constantine stayed in Rome but a short time after his victory. Proceeding to Milan (end of 312, or beginning of 313) he met his colleague the Augustus Licinius, married his sister to him, secured his protection for the Christians in the East, and promised him support against Maximinus Daia. The last, a bigoted pagan and a cruel tyrant, who persecuted the Christians even after Galerius' death, was now defeated by Licinius, whose soldiers, by his orders, had invoked the God of the Christians on the battle-field (30 April, 313). Maximinus, in his turn, implored the God of the Christians, but died of a painful disease in the following autumn. Of all Diocletian's tetrarchs Licinius was now the only survivor. His treachery soon compelled Constantine to make war on him. Pushing forward with his wonted impetuosity, the emperor struck him a decisive blow at Cibalae (8 October, 314). But Licinius was able to recover himself, and the battle fought between the two rivals at Castra Jarba (November, 314) left the two armies in such a position that both parties thought it best to make peace. For ten years the peace lasted, but when, about 322, Licinius, not content with openly professing paganism, began to persecute the Christians, while at the same time he treated with contempt Constantine's undoubted rights and privileges, the outbreak of war was certain, and Constantine gathered an army of 125,000 infantry and 10,000 cavalry, besides a fleet of 200 vessels to gain control of the Bosporus. Licinius, on the other hand, by leaving the eastern boundaries of the empire undefended succeeded in collecting an even more numerous army, made up of 150,000 infantry and 15,000 cavalry, while his fleet consisted of no fewer than 350 ships. The opposing armies met at Adrianople, 3 July, 324, and Constantine's well-disciplined troops defeated and put to flight the less disciplined forces of Licinius. Licinius strengthened the garrison of Byzantium so that an attack seemed likely to result in failure and the only hope of taking the fortress lay in a blockade and famine. This required the assistance of Constantine's fleet, but his opponent's ships barred the way. A sea fight at the entrance to the Dardanelles was indecisive, and Constantine's detachment retired to Elains, where it joined the bulk of his fleet. When the fleet of the Licinian admiral Abantus pursued on the following day, it was overtaken by a violent storm which destroyed 130 ships and 5000 men. Constantine crossed the Bosporus, leaving a sufficient corps to maintain the blockade of Byzantium, and overtook his opponent's main body at Chrysopolis, near Chalcedon. Again he inflicted on him a crushing defeat, killing 25,000 men and scattering the greater part of the remainder. Licinius with 30,000 men escaped to Nicomedia. But he now saw that further resistance was useless. He surrendered at discretion, and his noble-hearted conqueror spared his life. But when, in the following year (325), Licinius renewed his treacherous practices he was condemned to death by the Roman Senate and executed. Henceforth, Constantine was sole master of the Roman Empire. Shortly after the defeat of Licinius, Constantine determined to make Constantinople the future capital of the empire, and with his usual energy he took every measure to enlarge, strengthen, and beautify it. For the next ten years of his reign he devoted himself to promoting the moral, political, and economical welfare of his possessions and made dispositions for the future government of the empire. While he placed his nephews, Dalmatius and Hannibalianus in charge of lesser provinces, he designated his sons Constantius, Constantine, and Constans as the future rulers of the empire. Not long before his end, the hostile movement of the Persian king, Shâpûr, again summoned him into the field. When he was about to march against the enemy he was seized with an illness of which he died in May, 337, after receiving baptism. Constantine can rightfully claim the title of Great, for he turned the history of the world into a new course and made Christianity, which until then had suffered bloody persecution, the religion of the State. It is true that the deeper reasons for this change are to be found in the religious movement of the time, but these reasons were hardly imperative, as the Christians formed only a small portion of the population, being a fifth part in the West and the half of the population in a large section of the East. Constantine's decision depended less on general conditions than on a personal act; his personality, therefore, deserves careful consideration. Long before this, belief in the old polytheism had been shaken; in more stolid natures, as Diocletian, it showed its strength only in the form of superstition, magic, and divination. The world was fully ripe for monotheism or its modified form, henotheism, but this monotheism offered itself in varied guises, under the forms of various Oriental religions: in the worship of the sun, in the veneration of Mithras, in Judaism, and in Christianity. Whoever wished to avoid making a violent break with the past and his surroundings sought out some Oriental form of worship which did not demand from him too severe a sacrifice; in such cases Christianity naturally came last. Probably many of the more noble-minded recognized the truth contained in Judaism and Christianity, but believed that they could appropriate it without being obliged on that account to renounce the beauty of other worships. Such a man was the Emperor Alexander Severus; another thus minded was Aurelian, whose opinions were confirmed by Christians like Paul of Samosata. Not only Gnostics and other heretics, but Christians who considered themselves faithful, held in a measure to the worship of the sun. 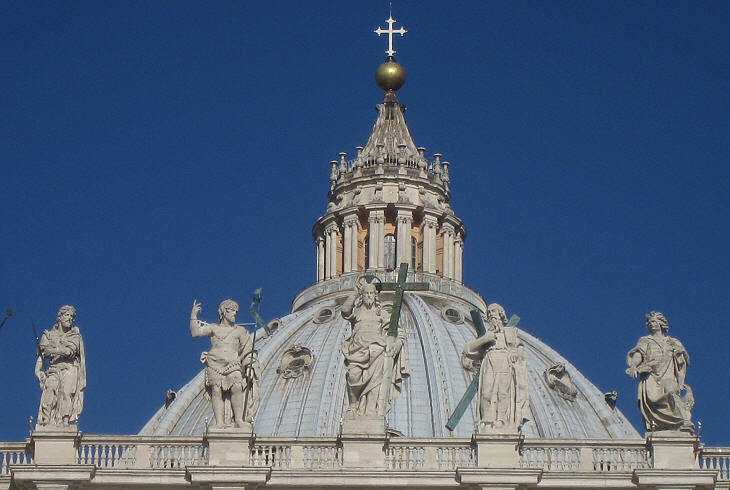 Leo the Great in his day says that it was the custom of many Christians to stand on the steps of the church of St. Peter and pay homage to the sun by obeisance and prayers (cf. Euseb. Alexand. in Mai, "Nov. Patr. Bibl. ", 11, 523; Augustine, Enarration on Psalm 10; Leo I, Sermon 26). When such conditions prevailed it is easy to understand that many of the emperors yielded to the delusion that they could unite all their subjects in the adoration of the one sun-god who combined in himself the Father-God of the Christians and the much-worshipped Mithras; thus the empire could be founded anew on unity of religion. Even Constantine, as will be shown farther on, for a time cherished this mistaken belief. It looks almost as though the last persecutions of the Christians were directed more against all irreconcilables and extremists than against the great body of Christians. The policy of the emperors was not a consistent one; Diocletian was at first friendly towards Christianity; even its grimmest foe, Julian, wavered. Caesar Constantius, Constantine's father, protected the Christians during a most cruel persecution. Constantine grew up under the influence of his father's ideas. He was the son of Constantius Chlorus by his first, informal marriage, called concubinatus, with Helena, a woman of inferior birth. For a short time Constantine had been compelled to stay at the court of Galerius, and had evidently not received a good impression from his surroundings there. When Diocletian retired, Constantius advanced from the position of Caesar to that of Augustus, and the army, against the wishes of the other emperors, raised the young Constantine to the vacant position. Right here was seen at once how unsuccessful would be the artificial system of division of the empire and succession to the throne by which Diocletian sought to frustrate the overweening power of the Praetorian Guard. Diocletian's personality is full of contradictions; he was just as crude in his religious feelings as he was shrewd and far-seeing in state affairs; a man of autocratic nature, but one who, under certain circumstances, voluntarily set bounds to himself. He began a reconstruction of the empire, which Constantine completed. The existence of the empire was threatened by many serious evils, the lack of national and religious unity, its financial and military weakness. Consequently the system of taxation had to be accommodated to the revived economic barter system. The taxes bore most heavily on the peasants, the peasant communities, and the landed proprietors; increasingly heavy compulsory service was also laid on those engaged in industrial pursuits, and they were therefore combined into state guilds. The army was strengthened, the troops on the frontier being increased to 360,000 men. In addition, the tribes living on the frontiers were taken into the pay of the State as allies, many cities were fortified, and new fortresses and garrisons were established, bringing soldiers and civilians more into contact, contrary to the old Roman axiom. When a frontier was endangered the household troops took the field. This body of soldiers, known as palatini, comitatenses, which had taken the place of the Praetorian Guard, numbered not quite 200,000 men (sometimes given as 194,500). A good postal service maintained constant communication between the different parts of the empire. The civil and military administration were, perhaps, somewhat more sharply divided than before, but an equally increased importance was laid on the military capacity of all state officials. Service at court was termed militia, "military service". Over all, like to a god, was enthroned the emperor, and the imperial dignity was surrounded by a halo, a sacredness, a ceremonial, which was borrowed from the Oriental theocracies. The East from the earliest times had been a favourable soil for theocratic government; each ruler was believed by his people to be in direct communication with the godhead, and the law of the State was regarded as revealed law. In the same manner the emperors allowed themselves to be venerated as holy oracles and deities, and everything connected with them was called sacred. Instead of imperial, the word sacred had now always to be used. A large court-retinue, elaborate court-ceremonials, and an ostentatious court-costume made access to the emperor more difficult. Whoever wished to approach the head of the State must first pass through many ante-rooms and prostrate himself before the emperor as before a divinity. As the old Roman population had no liking for such ceremonial, the emperors showed a constantly increasing preference for the East, where monotheism held almost undisputed sway, and where, besides, economic conditions were better. Rome was no longer able to control the whole of the great empire with its peculiar civilizations. In all directions new and vigorous national forces began to show themselves. Only two policies were possible: either to give way to the various national movements, or to take a firm stand on the foundation of antiquity, to revive old Roman principles, the ancient military severity, and the patriotism of Old Rome. Several emperors had tried to follow this latter course, but in vain. It was just as impossible to bring men back to the old simplicity as to make them return to the old pagan beliefs and to the national form of worship. Consequently, the empire had to identify itself with the progressive movement, employ as far as possible the existing resources of national life, exercise tolerance, make concessions to the new religious tendencies, and receive the Germanic tribes into the empire. This conviction constantly spread, especially as Constantine's father had obtained good results therefrom. In Gaul, Britain, and Spain, where Constantius Chlorus ruled, peace and contentment prevailed, and the prosperity of the provinces visibly increased, while in the East prosperity was undermined by the existing confusion and instability. But it was especially in the western part of the empire that the veneration of Mithras predominated. Would it not be possible to gather all the different nationalities around his altars? Could not Sol Deus Invictus, to whom even Constantine dedicated his coins for a long time, or Sol Mithras Deus Invictus, venerated by Diocletian and Galerius, become the supreme god of the empire? Constantine may have pondered over this. Nor had he absolutely rejected the thought even after a miraculous event had strongly influenced him in favour of the God of the Christians. In deciding for Christianity he was no doubt also influenced by reasons of conscience--reasons resulting from the impression made on every unprejudiced person both by the Christians and by the moral force of Christianity, and from the practical knowledge which the emperors had of the Christian military officers and state officials. These reasons are, however, not mentioned in history, which gives the chief prominence to a miraculous event. Before Constantine advanced against his rival Maxentius, according to ancient custom he summoned the haruspices, who prophesied disaster; so reports a pagan panegyrist. But when the gods would not aid him, continues this writer, one particular god urged him on, for Constantine had close relations with the divinity itself. Under what form this connection with the deity manifested itself is told by Lactantius (How the Persecutors Died 44) and Eusebius (Life of Constantine I.26-31). He saw, according to the one in a dream, according to the other in a vision, a heavenly manifestation, a brilliant light in which he believed he descried the cross or the monogram of Christ. Strengthened by this apparition, he advanced courageously to battle, defeated his rival and won the supreme power. It was the result that gave to this vision its full importance, for when the emperor afterwards reflected on the event it was clear to him that the cross bore the inscription: HOC VINCES (in this sign wilt thou conquer). A monogram combining the first letters, X and P, of the name of Christ (CHRISTOS), a form that cannot be proved to have been used by Christians before, was made one of the tokens of the standard and placed upon the Labarum. In addition, this ensign was placed in the hand of a statue of the emperor at Rome, the pedestal of which bore the inscription: "By the aid of this salutary token of strength I have freed my city from the yoke of tyranny and restored to the Roman Senate and People the ancient splendour and glory." Directly after his victory Constantine granted tolerance to the Christians and next year (313) took a further step in their favour. In 313 Licinius and he issued at Milan the famous joint edict of tolerance. This declared that the two emperors had deliberated as to what would be advantageous for the security and welfare of the empire and had, above all, taken into consideration the service which man owed to the "deity". Therefore they had decided to grant Christians and all others freedom in the exercise of religion. Everyone might follow that religion which he considered the best. They hoped that "the deity enthroned in heaven" would grant favour and protection to the emperors and their subjects. This was in itself quite enough to throw the pagans into the greatest astonishment. When the wording of the edict is carefully examined there is clear evidence of an effort to express the new thought in a manner too unmistakable to leave any doubt. The edict contains more than the belief, to which Galerius at the end had given voice, that the persecutions were useless, and it granted the Christians freedom of worship, while at the same time it endeavoured not to affront the pagans. Without doubt the term deity was deliberately chosen, for it does not exclude a heathen interpretation. The cautious expression probably originated in the imperial chancery, where pagan conceptions and pagan forms of expression still lasted for a long time. Nevertheless the change from the bloody persecution of Christianity to the toleration of it, a step which implied its recognition, may have startled many heathens and may have excited in them the same astonishment that a German would feel if an emperor who was a Social Democrat were to seize the reins of government. The foundations of the State would seem to such a one to rock. The Christians also may have been taken aback. Before this, it is true, it had occurred to Melito of Sardes (Eusebius, Church History IV.33) that the emperor might some day become a Christian, but Tertullian had thought otherwise, and had written (Apology 21) the memorable sentence: "Sed et Caesares credidissent super Christo, si aut Caesares non essent saeculo necessarii, aut si et Christiani potuissent esse Caesares" (But the Caesars also would have believed in Christ, if either the Caesars had not been necessary to the world or if Christians too could have been Caesars). The same opinion was held by St. Justin (I, xii, II, xv). That the empire should become Christian seemed to Justin and many others an impossibility, and they were just as little in the wrong as the optimists were in the right. At all events, a happy day now dawned for the Christians. They must have felt as did the persecuted in the time of the French Revolution when Robespierre finally fell and the Reign of Terror was over. The feeling of emancipation from danger is touchingly expressed in the treatise ascribed to Lactantius (How the Persecutors Died), concerning the ways in which death overtook the persecutors. It says: "We should now give thanks to the Lord, Who has gathered together the flock that was devastated by ravening wolves, Who has exterminated the wild beasts which drove it from the pasture. Where is now the swarming multitude of our enemies, where the hangmen of Diocletian and Maximian? God has swept them from the earth; let us therefore celebrate His triumph with joy; let us observe the victory of the Lord with songs of praise, and honour Him with prayer day and night, so that the peace which we have received again after ten years of misery may be preserved to us." The imprisoned Christians were released from the prisons and mines, and were received by their brethren in the Faith with acclamations of joy; the churches were again filled, and those who had fallen away sought forgiveness. For a time it seemed as if merely tolerance and equality were to prevail. Constantine showed equal favour to both religious. As pontifex maximus he watched over the heathen worship and protected its rights. The one thing he did was to suppress divination and magic; this the heathen emperors had also at times sought to do. Thus, in 320, the emperor forbade the diviners or haruspices to enter a private house under pain of death. Whoever by entreaty or promise of payment persuaded a haruspex to break this law, that man's property should be confiscated and he himself should be burned to death. Informers were to be rewarded. Whoever desired to practise heathen usages must do so openly. He must go to the public altars and sacred places, and there observe traditional forms of worship. "We do not forbid", said the emperor, "the observance of the old usages in the light of day." And in an ordinance of the same year, intended for the Roman city prefects, Constantine directed that if lightning struck an imperial palace, or a public building, the haruspices were to seek out according to ancient custom what the sign might signify, and their interpretation was to be written down and reported to the emperor. It was also permitted to private individuals to make use of this old custom, but in following this observance they must abstain from the forbidden sacrificia domestica. A general prohibition of the family sacrifice cannot be deduced from this, although in 341 Constantine's son Constantius refers to such an interdict by his father (Cod. Theod., XVI, x, 2). A prohibition of this kind would have had the most severe and far-reaching results, for most sacrifices were private ones. And how could it have been carried out while public sacrifices were still customary? In the dedication of Constantinople in 330 a ceremonial half pagan, half Christian was used. The chariot of the sun-god was set in the market-place, and over its head was placed the Cross of Christ, while the Kyrie Eleison was sung. Shortly before his death Constantine confirmed the privileges of the priests of the ancient gods. Many other actions of his have also the appearance of half-measures, as if he himself had wavered and had always held in reality to some form of syncretistic religion. Thus he commanded the heathen troops to make use of a prayer in which any monotheist could join, and which ran thus: "We acknowledge thee alone as god and king, we call upon thee as our helper. From thee have we received the victory, by thee have we overcome the foe. To thee we owe that good which we have received up to now, from thee do we hope for it in the future. To thee we offer our entreaties and implore thee that thou wilt preserve to us our emperor Constantine and his god-fearing sons for many years uninjured and victorious." The emperor went at least one step further when he withdrew his statue from the pagan temples, forbade the repair of temples that had fallen into decay, and suppressed offensive forms of worship. But these measures did not go beyond the syncretistic tendency which Constantine had shown for a long time. Yet he must have perceived more and more clearly that syncretism was impossible. In the same way religious freedom and tolerance could not continue as a form of equality, the age was not ready for such a conception. 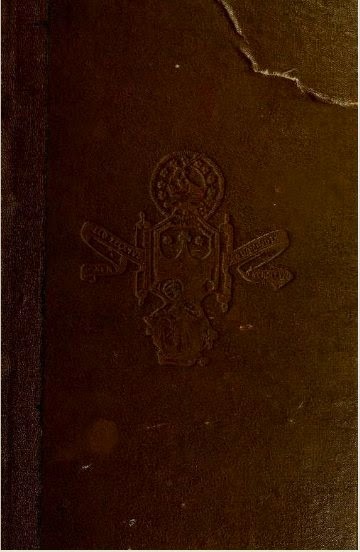 It is true that Christian writers defended religious liberty; thus Tertullian said that religion forbids religious compulsion (Non est religionis cogere religionem quae sponte suscipi debet non vi.--To Scapula, near the close); and Lactantius, moreover, declared: "In order to defend religion man must be willing to die, but not to kill." Origen also took up the cause of freedom. Most probably oppression and persecution had made men realize that to have one's way of thinking, one's conception of the world and of life, dictated to him was a mischief-working compulsion. In contrast to the smothering violence of the ancient State, and to the power and custom of public opinion, the Christians were the defenders of freedom, but not of individual subjective freedom, nor of freedom of conscience as understood today. And even if the Church had recognized this form of freedom, the State could not have remained tolerant. Without realizing the full import of his actions, Constantine granted the Church one privilege after another. As early as 313 the Church obtained immunity for its ecclesiastics, including freedom from taxation and compulsory service, and from obligatory state offices--such for example as the curial dignity, which was a heavy burden. The Church further obtained the right to inherit property, and Constantine moreover placed Sunday under the protection of the State. It is true that the believers in Mithras also observed Sunday as well as Christmas. Consequently Constantine speaks not of the day of the Lord, but of the everlasting day of the sun. According to Eusebius, the heathen also were obliged on this day to go out into the open country and together raise their hands and repeat the prayer already mentioned, a prayer without any marked Christian character (Life of Constantine IV.20). The emperor granted many privileges to the Church for the reason that it took care of the poor and was active in benevolence. 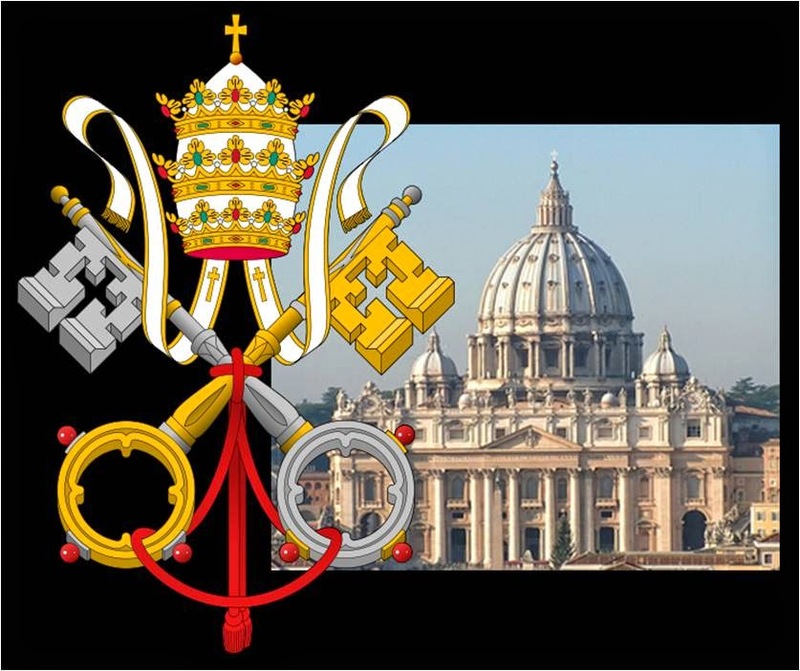 Perhaps he showed his Christian tendencies most pronouncedly in removing the legal disabilities which, since the time of Augustus, had rested on celibacy, leaving in existence only the leges decimarioe, and in recognizing an extensive ecclesiastical jurisdiction. But it should not be forgotten that the Jewish communities had also their own jurisdiction, exemptions, and immunities, even if in a more limited degree. A law of 318 denied the competence of civil courts if in a suit an appeal was made to the court of a Christian bishop. Even after a suit had begun before the civil court, it would still be permissible for one of the parties to transfer it to the bishop's court. If both parties had been granted a legal hearing, the decision of the bishop was to be binding. A law of 333 commanded the state officials to enforce the decisions of the bishops, a bishop's testimony should be considered sufficient by all judges and no witness was to be summoned after a bishop had testified. These concessions were so far-reaching that the Church itself felt the great increase of its jurisdiction as a constraint. Later emperors limited this jurisdiction to cases of voluntary submission by both parties to the episcopal court. Constantine did much for children, slaves, and women, those weaker members of society whom the old Roman law had treated harshly. But in this he only continued what earlier emperors, under the influence of Stoicism, had begun before him, and he left to his successors the actual work of their emancipation. Thus some emperors who reigned before Constantine had forbidden the exposure of children, although without success, as exposed children or foundlings were readily adopted, because they could be used for many purposes. The Christians especially exerted themselves to get possession of such foundlings, and consequently Constantine issued no direct prohibition of exposure, although the Christians regarded exposure as equal to murder; he commanded, instead, that foundlings should belong to the finder, and did not permit the parents to claim the children they had exposed. Those who took such children obtained a property right in them and could make quite an extensive use of this; they were allowed to sell and enslave foundlings, until Justinian prohibited such enslaving under any guise. Even in the time of St. Chrysostom parents mutilated their children for the sake of gain. When suffering from famine or debt, many parents could only obtain relief by selling their children if they did not wish to sell themselves. All later laws against such practices availed as little as those against emasculation and pandering. St. Ambrose vividly depicts the sad spectacle of children being sold by their fathers, under pressure of creditors, or by the creditors themselves. All the many forms of institutions for feeding and supporting children and the poor were of little avail. Constantine himself established asylums for foundlings; yet he recognized the right of parents to sell their children, and only excepted older children. He ruled that children who had been sold could be bought back in contradistinction to children who had been exposed; but this ruling was of no avail if the children were taken into a foreign country. Valentinian, therefore, prohibited the traffic in human beings with foreign lands. The laws forbidding such practices continually multiplied, but the greater part of the burden of saving the children fell on the Church. Constantine was the first to prohibit the abduction of girls. The abductor and those who aided him by influencing the girl were threatened with severe punishment. In harmony with the views of the Church, Constantine rendered divorce more difficult, he made no changes where the divorce was agreed to by both parties, but imposed severe conditions when the demand for separation came from one side only. A man could put away his wife for adultery, poisoning, and pandering, and retain her dowry, but if he discarded her for any other cause, he was to return the dowry and was forbidden to marry again. If, nevertheless, he remarried, the discarded wife had the right to enter his house and take everything which the new wife had brought him. Constantine increased the severity of the earlier law forbidding the concubinage of a free woman with a slave, and the Church did not regard this measure with disfavour. On the other hand, his retention of the distinctions of rank in the marriage law was clearly contrary to the views of the Church. The Church rejected all class distinctions in marriage, and regarded informal marriages (the so-called concubinatus) as true marriages, in so far as they were lasting and monogamous. Constantine, however, increased the difficulties of the concubinatus, and forbade senators and the higher officials in the State and in the pagan priesthoods to contract such unions with women of lower rank (feminoe humiles), thus making it impossible for them to marry women belonging to the lower classes, although his own mother was of inferior rank. But in other respects the emperor showed his mother, Helena, the greatest deference. Other concubinatus besides those mentioned were placed at a disadvantage in regard to property, and the rights of inheritance of the children and the concubines were restricted. Constantine, however, encouraged the emancipation of slaves and enacted that manumission in the church should have the same force as the public manumission before State officials and by will (321). Neither the Christian nor the heathen emperors permitted slaves to seek their freedom without authorization of law, the Christian rulers sought to ameliorate slavery by limiting the power of corporal punishment; the master was allowed only to use a rod or to send a slave to prison, and the owner was not liable to punishment even if the slave died under these circumstances. But if death resulted from the use of clubs, stones, weapons or instruments of torture, the person who caused the death was to be treated as a murderer. As will be seen below, Constantine was himself obliged to observe this law when he sought to get rid of Licinianus. A criminal was no longer to be branded in the face, but only on the feet, as the human face was fashioned in the likeness of God. When these laws are compared with the ordinances of those earlier emperors who were of humane disposition, they do not go far beyond the older regulations. In everything not referring to religion Constantine followed in the footsteps of Diocletian. In spite of all unfortunate experiences, he adhered to the artificial division of the empire, tried for a long time to avoid a breach with Licinius, and divided the empire among his sons. On the other hand, the imperial power was increased by receiving a religious consecration. The Church tolerated the cult of the emperor under many forms. It was permitted to speak of the divinity of the emperor, of the sacred palace, the sacred chamber and of the altar of the emperor, without being considered on this account an idolater. From this point of view Constantine's religious change was relatively trifling; it consisted of little more than the renunciation of a formality. For what his predecessors had aimed to attain by the use of all their authority and at the cost of incessant bloodshed, was in truth only the recognition of their own divinity; Constantine gained this end, though he renounced the offering of sacrifices to himself. Some bishops, blinded by the splendour of the court, even went so far as to laud the emperor as an angel of God, as a sacred being, and to prophesy that he would, like the Son of God, reign in heaven. It has consequently been asserted that Constantine favoured Christianity merely from political motives, and he has been regarded as an enlightened despot who made use of religion only to advance his policy. He certainly cannot be acquitted of grasping ambition. Where the policy of the State required, he could be cruel. Even after his conversion he caused the execution of his brother-in-law Licinius, and of the latter's son, as well as of Crispus his own son by his first marriage, and of his wife Fausta. He quarrelled with his colleague Licinius about their religious policy, and in 323 defeated him in a bloody battle; Licinius surrendered on the promise of personal safety; notwithstanding this, half a year later he was strangled by order of Constantine. During the joint reign Licinianus, the son of Licinius, and Crispus, the son of Constantine, had been the two Caesars. Both were gradually set aside; Crispus was executed on the charge of immorality made against him by Constantine's second wife, Fausta. The charge was false, as Constantine learned from his mother, Helena, after the deed was done. In punishment Fausta was suffocated in a superheated bath. The young Licinianus was flogged to death. Because Licinianus was not the son of his sister, but of a slave-woman, Constantine treated him as a slave. In this way Constantine evaded his own law regarding the mutilation of slaves After reading these cruelties it is hard to believe that the same emperor could at times have mild and tender impulses; but human nature is full of contradictions. Constantine was liberal to prodigality, was generous in almsgiving, and adorned the Christian churches magnificently. He paid more attention to literature and art than we might expect from an emperor of this period, although this was partly due to vanity, as is proved by his appreciation of the dedication of literary works to him. It is likely that he practiced the fine arts himself, and he frequently preached to those around him. No doubt he was endowed with a strong religious sense, was sincerely pious, and delighted to be represented in an attitude of prayer, with his eyes raised to heaven. 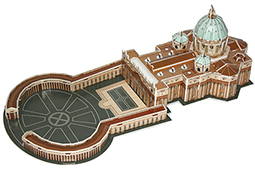 In his palace he had a chapel to which he was fond of retiring, and where he read the Bible and prayed. "Every day", Eusebius tells us, "at a fixed hour he shut himself up in the most secluded part of the palace, as if to assist at the Sacred Mysteries, and there commune with God alone ardently beseeching Him, on bended knees, for his necessities". As a catechumen he was not permitted to assist at the sacred Eucharistic mysteries. He remained a catechumen to the end of his life, but not because he lacked conviction nor because, owing to his passionate disposition, he desired to lead a pagan life. He obeyed as strictly as possible the precepts of Christianity, observing especially the virtue of chastity, which his parents had impressed upon him; he respected celibacy, freed it from legal disadvantages, sought to elevate morality, and punished with great severity the offenses against morals which the pagan worship bad encouraged. He brought up his children as Christians. Thus his life became more and more Christian, and thus gradually turned away from the feeble syncretism which at times he seemed to favour. The God of the Christians was indeed a jealous God who tolerated no other gods beside him. The Church could never acknowledge that she stood on the same plane with other religious bodies, she conquered for herself one domain after another. Constantine himself preferred the company of Christian bishops to that of pagan priests. The emperor frequently invited the bishops to court, gave them the use of the imperial postal service, invited them to his table, called them his brothers, and when they had suffered for the Faith, kissed their scars. 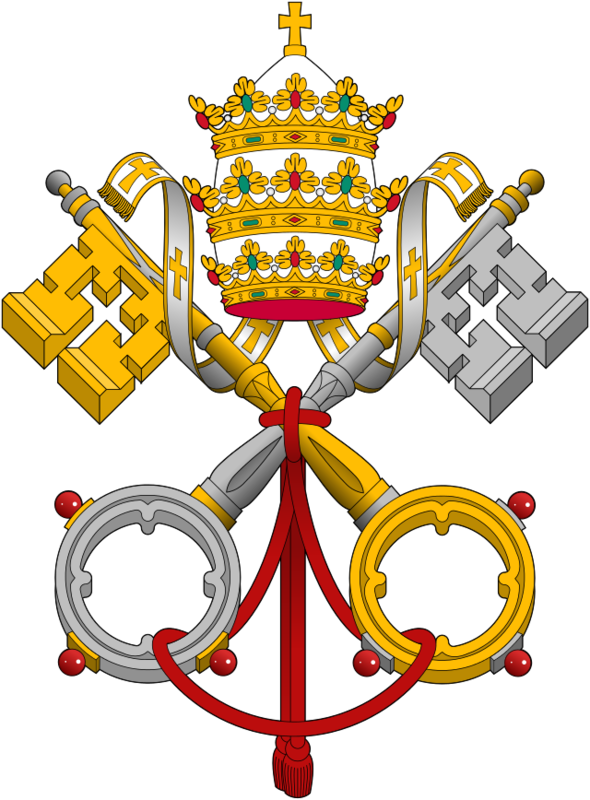 While he chose bishops for his counsellors, they, on the other hand, often requested his intervention-- e.g. shortly after 313, in the Donatist dispute. For many years he worried himself with the Arian trouble, and in this, it may be said, he went beyond the limits of the allowable, for example, when he dictated whom Athanasius should admit to the Church and whom he was to exclude. Still he avoided any direct interference with dogma, and only sought to carry out what the proper authorities--the synods--decided. When he appeared at an oecumenical council, it was not so much to influence the deliberation and the decision as to show his strong interest and to impress the heathen. He banished bishops only to avoid strife and discord, that is, for reasons of state. He opposed Athanasius because he was led to believe that Athanasius desired to detain the corn-ships which were intended for Constantinople; Constantine's alarm can be understood when we bear in mind how powerful the patriarchs eventually became. When at last he felt the approach of death he received baptism, declaring to the bishops who had assembled around him that, after the example of Christ, he had desired to receive the saving seal in the Jordan, but that God had ordained otherwise, and he would no longer delay baptism. Laying aside the purple, the emperor, in the white robe of a neophyte, peacefully and almost joyfully awaited the end. MLA citation. Herbermann, Charles, and Georg Grupp. "Constantine the Great." The Catholic Encyclopedia. Vol. 4. New York: Robert Appleton Company, 1908. 31 Dec. 2014 <http://www.newadvent.org/cathen/04295c.htm>.